I love Gruyere, Brie and all of those fancy cheeses just as much as the next person, but there will always be a special little place in my taste buds for American cheese. 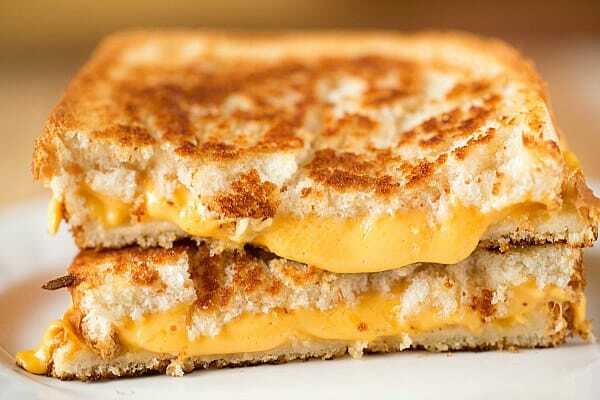 As most kids do around these parts, I grew up on grilled cheese sandwiches that were made with smooth, creamy, and super-melty American cheese. By and large, any lunchmeat-and-cheese sandwich I ate included American cheese. To this day, I adore a bologna and American cheese sandwich with mayonnaise and sliced tomato on fresh Italian bread. Some flavors just can’t be replaced, and American cheese is one of them for me. 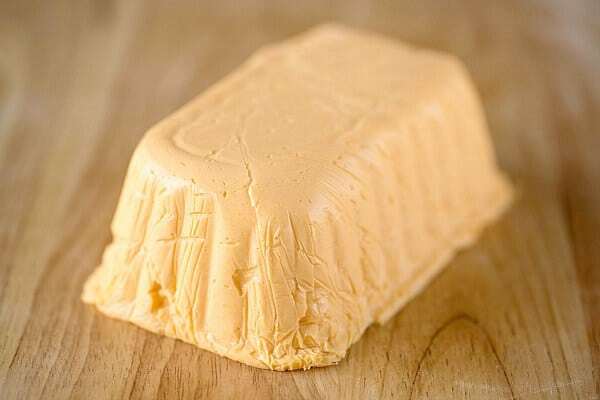 American cheese is a “processed cheese”, which means that it’s a cheese that started as another already-made cheese and is then further modified to make it creamier and more melt-y (for lack of a better word). What I didn’t realize, however, is that this is how American cheese was traditionally made, usually starting with Colby or Cheddar; however, now it typically doesn’t even start with real cheese. What?! The ingredient list is compiled of things like milk, whey, milkfat, milk protein concentrate, whey protein concentrate and salt. A little less appetizing, right? I can’t tell you how thrilled I was when I saw American Cheese in the list of recipes in the new DIY Cookbook from America’s Test Kitchen (the same book that produced the homemade torrone) – I immediately bookmarked it and planned to make it after the holidays. Thus, here we are! I was seriously stunned when I realized how incredibly easy it was to create my own American cheese, right there in my kitchen, in less than 15 minutes! 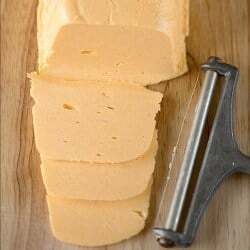 The process begins with Colby cheese, then some dry milk powder, whole milk and gelatin are added to the mix (be sure to see the note below on dry milk powder). The combination gives the cheese that super creamy texture, as well as the properties it needs to melt exceptionally well. The ability to melt supremely well is very important when it comes to such things as grilled cheese sandwiches. Very important. This cheese passed the test with flying colors. I’ll definitely be keeping a block of it in the refrigerator at all times! An easy recipe for making your own American Cheese at home! 1. Line a 5x4-inch disposable aluminum loaf pan with plastic wrap, using enough so that excess hangs over the sides. 2. Sprinkle the gelatin over the water in a small cup and let sit until the gelatin softens, about 5 minutes. 3. Meanwhile, pulse together the shredded cheese, dry milk powder, salt and cream of tartar in a food processor until combined, about 3 pulses. 4. Bring the milk to a boil in a small saucepan. Remove from heat and immediately whisk in the softened gelatin until it is completely dissolved and the mixture is smooth. 5. Turn the food processor on so it is running, then slowly add the hot milk mixture to the cheese mixture until smooth, about 1 minute, scraping down the bowl as needed. 6. Immediately transfer the cheese to the prepared pan. Working quickly, pack the cheese firmly into the loaf pan to eliminate most air pockets, then smooth the top. 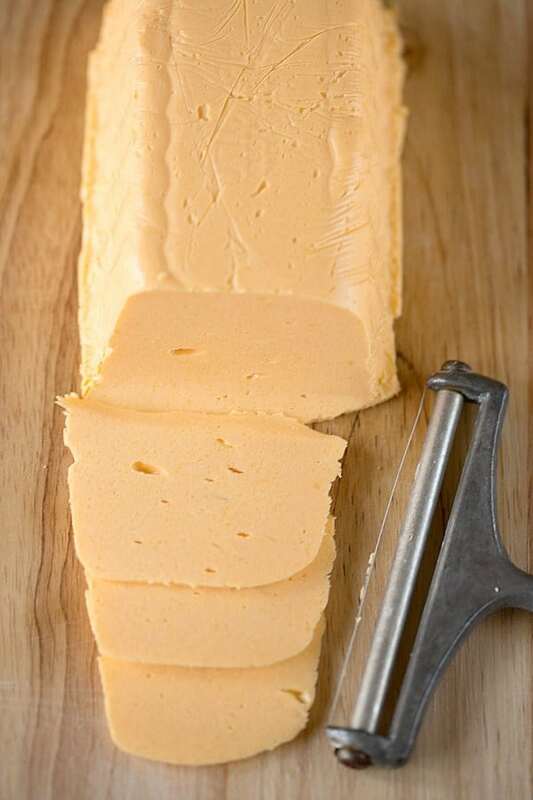 Fold the overhanging plastic tightly against the surface of the cheese and refrigerate for at least 3 hours. The cheese can be stored in the refrigerator, wrapped tightly in plastic wrap, for up to 1 month. Note: Be sure to use whole dry milk powder, not nonfat dry milk powder, as it will make a difference. I purchased my whole dry milk powder from King Arthur Flour. 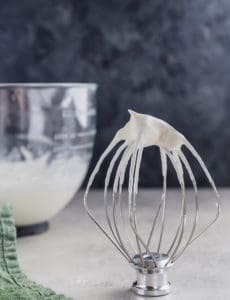 Has anyone tried doing this in a stand mixer? Could this be made by first melting the cheese in a saucepan and then adding the other ingredients with a whisk? I don’t have a food processor. Are there any modifications you would recommend? Thank you!!! Hi Avrilana, I’ve never tried that, so I’m not sure if it would work, but if you try doing it, definitely let me know how it turns out! I used powdered coffee creamer for powdered milk. Worked great! This recipe is so good. Easy to make. Next time I will add fried onions. Could even add peppers. This is a great recipe! It is exactly what it purports to be! I love the taste and melt-ability! It makes an incredible grilled cheese. Thanks for a wonderful recipe! I would recommend that you cut the salt by half. It yields a much tastier cheese product. 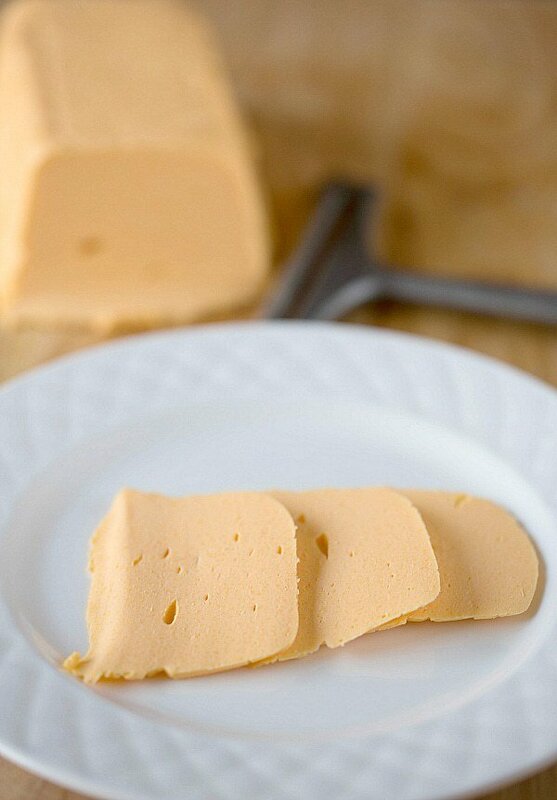 The velveeta and this recipe work amazing with my fresh, raw goat milk instead of powder. I had grass fed gelatin but no org milk powder and tried it. Worked great! Now I just need to try it with raw homemade cheddar. Thanks for sharing! I can’t wait to try the “Velveeta” cheese this weekend! Stupid Question: Can I use a pre-shredded bag of cheese or do I need to shred my own? Thank you! Hi Julie, I would definitely shred your own; the pre-shredded is coated in a mixture that keeps it from sticking, but it also keeps it from melting well. I quit buying Velveeta and store brand copycats because they are truly disgusting. This is great. Now I can have “melty” cheese again. It’s easy, doesn’t cost any more than the gross stuff and tastes wonderful. Thanks for posting this! Has anyone ever tried adding flavor to this cheese i.e. roasted garlic, onion, or, herbs ? U have made my day! Wow, hate to admit it, but American cheese has always been my favorite, but knowing how it is made makes it less enjoyable for me. I just can’t wait to buy the ingredients to make my own home made American cheese. Who knew! Hi – I’ve been planning to try this for some time and am finally ready all the ingredients and my first proper food processor. Since we don’t have Colby over here readily available (I live in the UK now, but grew up in Ohio) I’m going to use my favourite medium cheddar. But what I REALLY want to do, once I’ve gotten the hang of doing the recipe is start adding other ingredients, as they suggested on ATK. You know do a “pepper jack” type. 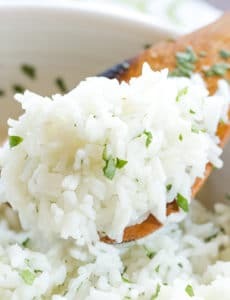 I also had an amazing Cheddar with Garlic in Germany once that I have never found since (though I a local store does offer a rather good Garlic and Jalapeno Cheddar in slices – but it’s SO expensive – and I think to do something like that with this recipe would make rather divine grilled cheese sandwiches) Anyone have any tips for adding Garlic and or Chilli flakes? Should I use dried or fresh, etc…? Any suggestions, help would be wonderful. Thanks – really enjoyed reading the comments here today! Hi David, I haven’t tried any add-ins yet, but I would opt for dried, as I think it would help maintain the freshness of the cheese. Just finished making it using Double Gloucester (fairly close to Colby) and I added in chilli flakes – can’t wait to try it in a grilled cheese. From licking the spatula, it tastes perfect! or lemon juice for the cream of tartar? Hi Yuklan, I have never tried any of those substitution, so I can’t say for sure how they would turn out. If you experiment, please stop back and let me know how it turned out! Has anyone made this eliminating the dry milk powder? How did it turn out? When is the salt supposed to be added? It’s in the ingredients but not the instructions so I added it with the milk powder & cream of tartar. Now I’m a little worried though because after I was all done and licked the spatula (I’m sure I’m not the only one who does that! lol) it seemed too salty to me. Hi Rachel, My apologies for that omission; it should be added to the food processor with the shredded cheese, dry milk powder and cream of tartar in step #3. I have edited the recipe above to correct that error. Thanks! And it made really great grilled cheese tonight for an easy dinner of sandwiches & soup. Oh & I never could find whole milk powder so took my chances with nonfat milk powder and I think it came out pretty well. Thanks for the recipe! Just made it b/c it sounded good and seemed like fun. I just love to make stuff, especially things you get to eat. I substituted buttermilk powder for the whole milk powder. Worked just dandy and has a bit of a tangy taste. Thanks for the recipe and enjoy your site. I keep on making this recipe and it turns out great! 2 things I’ve noticed: In Step 3 you left out to add the salt to the cheese in the food processor :) Also, 12 oz is about 1 1/2 cups, not 3 cups. Although I will say I’ve been making this with 3 cups and it turns out great, so I wonder if you meant 24 oz cheese, 3 cups? Hmm, I might just continue making it with 3 cups, 24 oz colby cheese. I get the big bulk bags of colby cheese at Sam’s Club; I probably make cheese every month or so…I make 2 batches at a time. My son is currently drinking whole milk so I’ve tried batches with whole milk and skim milk. The skim milk makes a very nice cheese, it just doesn’t melt as well as using whole milk FYI. Hi Ryann, Thanks so much for your feedback, I’m so happy you’re enjoying the cheese! Actually, 12 ounces is 3 cups of cheese. The 8 ounces = 1 cup is really only accurate for liquid measurements and, by coincidence, a few other ingredients. For instance, 1 cup of all-purpose flour is 4 to 4.5 ounces (depending on the brand and protein level). As for cheese, 4 ounces of cheese is the equivalent of 1 cup shredded. This is just a circus! Dried milk powder and gelatin are as processed as it gets. Instead why not try your next grilled cheese with an unadulterated Muenster or Gruyere and be done with it? This stuff above is no better than commercial junk… it’s really just homemade frankenfood! This word “processed” – I do not think it means what you think it means. ANY food that is modified from its whole form is “processed.” Chicken nuggets are “processed,’ but so are whole organic chicken breasts separated from the bird, for example. American cheese is “processed,” but guess what? So are “unadulterated” Muenster or Gruyere, as they are just processed forms of milk, and so are many of the milk products available, as they are pasteurized, homogenized, reduced-fat, lactose-reduced, and what have you. 99% of the foods we consume are “processed,” and processed foods are not evil. SOME (many?) 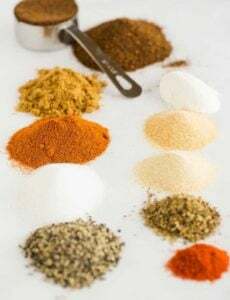 processed foods are less healthy than their whole counterparts, but it’s more helpful to make a distinction between healthy and unhealthy processed foods, rather than labeling all “processed” foods as “circus” fodder out of ignorance. Thank you for that, chef. I love how so many people get preachy about processed food and how bad it is for you. Meanwhile, they are putting fat laden cheese between two slices of bread slathered with butter. Ryann, In the note at the end of the recipe I state that I purchased it from King Arthur Flour, along with a link. Thanks for the reply Michelle. One more question, have you tried to press this into a pyrex glass bowl with a lid instead of the plastic wrap and throw-away aluminum pan? The shape might be off but it certainly will save the landfills of plastic wrap and the pan if you don’t recycle. Anyone else use something more eco-friendly to shape and store your cheese? Hi Ryann, I haven’t made the cheese in a different container, but I imagine that you could do that without a problem.